2018 is just days away and with a new year comes new challenges, new goals and New Year’s resolutions! So, what will be your New Year’s resolution? While getting more exercise is great and eating healthy is important those goals are hard to achieve when you don’t have time to work on them. How about making a resolution to have more free time in 2018! Make time for the things that matter to you; make time for the things you love and the people you love. Think about the things you have to do that tend to be time suckers and pass them off to someone else. 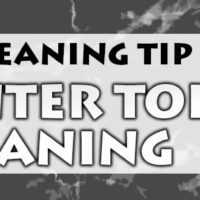 Cleaning can take hours and hours to do, plus it can be a strain on your body, so instead of scrubbing on your hands and knees hire someone who’s been professionally trained to take care of the mess. Maid to Shine wants everyone to live lives that make them happy and we understand for a lot of people the act of cleaning doesn’t necessarily bring joy, sure the end product might, but the process is literally chore. We want to make 2018 your best year yet, so while we sweep, scrub, vacuum, mop and wipe down you can go to the gym, or work with your kid on their science fair project, or make a healthy dinner for your family to enjoy around the table. You only have one life, spend your time doing the things that will make you happy. Build memories with your family, make your friends laugh so hard they can’t talk, breath in the fresh Colorado air and just enjoy yourself in 2018. We’ll handle the dirty work, while you do the things that’ll make this year your best one yet. Maid to Shine is celebrating its 10 year anniversary with 10% off first time cleanings throughout January.